Will Chris Estate’s quaint chapel boasts with tall “A” shaped thatch ceilings adorned by a showstopper of a central crystal chandelier. Our chapel is multi denominational and can decorated to suit your specific religious preferences and ceremony. Various seating configurations are available and a central red carpet can be rolled out adorned with rose petals along the sides. We also provide a pulpit with a sound system where required. Large industrial fans will keep your guests cool on warm sunny Highveld afternoons. 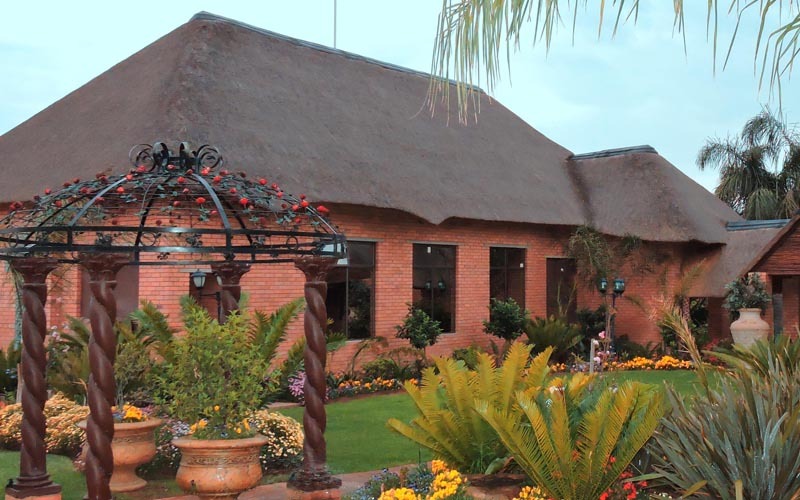 This venue features large, curtain framed windows that look out into our expansive gardens. If you are looking for a venue in which to wed, Will Chris Estate offers you a unique chapel in a dream-like location.